How to Become an FBI Agent? How to Become an FBI Agent? The Federal Bureau of Investigation (FBI) is a part of the U.S. Department of Justice. It is responsible for criminal investigations, counterintelligence and counter-terrorism. The Bureau employs more than 35,000 individuals who have diverse backgrounds and skills to investigate crimes relevant to more than 200 categories of federal law. If you are interested in joining the FBI, continue reading. If you intend on becoming an FBI agent, there are certain requirements you would need to fulfill. The job of an FBI agent can be very demanding and challenging. Because of its highly specialized nature, the requirements for entry are really strict. Candidates need to have at least a four-year degree from an accredited college or university. Candidates must possess a valid driver’s license with 6 months of driving experience. Candidates should have completed at least three years of professional work experience. The diversified entry program is the most inclusive one, with the only specification being that applicants hold Bachelor of Science or a Bachelor of Arts degree. However, entry into the accounting program at the FBI would require applicants to have an undergraduate accounting degree at least. Most people assume that FBI agents have degrees in criminology and criminal justice, but in reality, most agents have backgrounds in accounting and finance. Very few positions in the organization actually require criminal justice graduates. Skills such as reasoning, logic, critical thinking and researching are important. The FBI requires candidates to have at least three years of experience in a field related to the degree. Veterans who have served on active duty are typically given more preference over non-veterans for FBI Special Agent positions in particular. In addition to that, knowing a foreign language or having expertise in areas such as law enforcement, physical sciences, piloting a helicopter, engineering or IT networking can also make you a preferred applicant. The FBI looks for graduates who have strong research and analytical skills. All candidates applying to the FBI go through an extensive background check, along with a drug test and a polygraph test. Applicants must not have any felony conviction or any default student loans against their names. The background check will be a thorough investigation into all records of the candidate, including credit records, family records, etc. This entire process can take several months at times. The online application form available on the official website of the Bureau will require candidates to answer several eligibility and sustainability questions, along with the submission of their scores for the self-Physical Fitness Test (PFT). In addition to clearing a background check, applicants will also be required to pass a strict physical fitness test. A doctor will conduct a comprehensive physical fitness examination and submit their medical reports to the Bureau. Specific vision and hearing requirements need to be met and a physical fitness self-assessment test also needs to be cleared. This test will include push-ups and sit-ups, along with a 300-meter sprint and a 1.5 mile run. Once the applicant has cleared all the requirements and tests involved, he or she will be required to complete 20 weeks of on-campus training at the FBI Academy. Candidates will be asked to report to the FBI Academy in Quantico, Virginia, to start training as New Agent Trainees (NATs). The FBI Training Academy is located nearly 36 miles outside of Washington, D.C. and is equipped with classrooms, conference rooms, dorms, a gym, pool, dining hall, firing ranges and even a mock town. The Academy not only trains new recruits, it also provides continuing learning programs for special agents, intelligence analysts, law enforcement officers, foreign partners, professional staff and the private sector. Upon successful graduation from this training course, agents will report to their assigned field office on the date given. The first two years of duty will include an 18-month long probationary period where they will be able to get hands-on experience of working in different specialties within the jurisdiction of FBI. The Special Agent application process typically takes at least one year and may take longer, depending on the annual federal funding and hiring goals. The pay scale of FBI agents is based on the federal government’s General Schedule (GS) pay scale. All new FBI Special Agents earn salaries at the GL-10 pay scale. Applicants who have no previous government service will earn a salary at the GL-10, step 1 pay level, which currently amounts to $49,218. Applicants who have some prior experience might be eligible to receive higher salary, without entering higher grades. During the Basic Training Course, new trainees will be eligible to receive GL-10 salaries, along with a locality pay for the Washington, D.C. area and an availability pay (25% of the basic pay plus locality). Once graduated from the training course, and assigned to field offices, the fresh Special Agents will be paid the GL-10 pay level, with the locality pay applicable to their first location of assignment, plus the availability pay. Part-time Special Agents are not eligible for availability pay. Note: These salary structures are subject to change. The figures listed above are annual rates, effective as of January 2017. All salary figures have been taken from the official website. In 2017, according to the Office of Personnel Management, the FBI director earned an annual salary of $172,100. 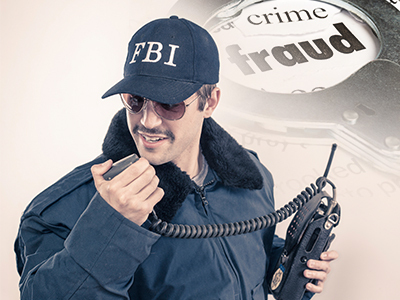 In addition to the salary structure, FBI agents also receive a number of benefits. These include group health and life insurance programs, sick pay, paid vacation programs and a complete retirement plan.